Chepkemboi has been working on benthic and phytoplankton biodiversity for over 6 years supporting different research teams studying the Kenyan critical habitats. 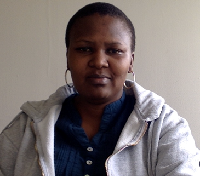 She has gained skills in M&E, long-term trend analysis and in marine biogeographic data management with OBIS and WoRMS. Her research interests include documenting the biodiversity of the marine benthic ecosystems, as well as pelagic phytoplankton. Currently she is investigating the potential for benthic foraminifera to be used as indicators of ecosystem health in different marine habitats. Labatt, C.K., M’Erimba C.M., and Kitaka, N. (2012). Determining ecological integrity of the Nyangores River using macroinvertebrate index of biotic integrity. In: The LVBC/EAC 3rd Scientific Conference, Entebbe-Uganda 22- 23rd October 2012.